Fabulous porch for all to enjoy! Morning breakfast table in beautiful porch area!! 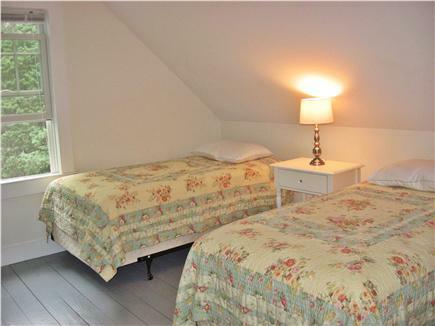 Fabulous 4 bedroom family Beach House in Historic Brewster North of 6A just off Cape Cod Bay!!! 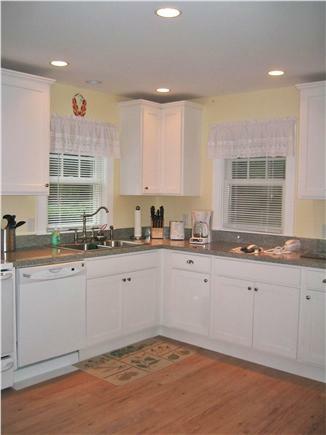 !, Authentic Cape, Central Air, 3/4 acre on private lane, 2/10ths mile (3 minute walk) to Linnell Landing Beach. 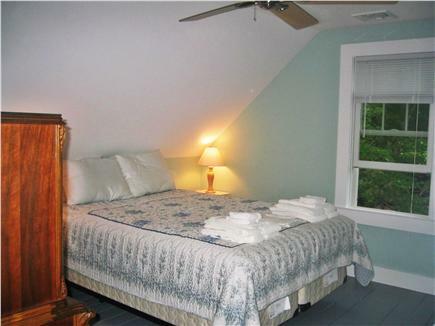 Wonderful location away from busy streets. 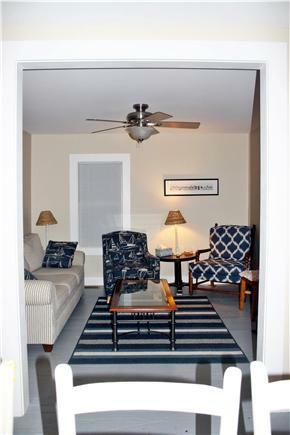 Includes: Free domestic long distance calling, flat screen TV with Cable and DVD player, high speed wireless/internet, central AC, full-sized washer/dryer/dishwasher, outdoor shower. 1st floor 3/4 bath with walk in shower, 2nd floor full bath, 2nd floor laundry room with HE front loading washer and dryer, outdoor shower. Bright kitchen fully furnished with GE kitchen appliances including full size dishwasher. Dining room has farm table that seats 8. Living room with sofa and 2 chairs for TV and quiet. 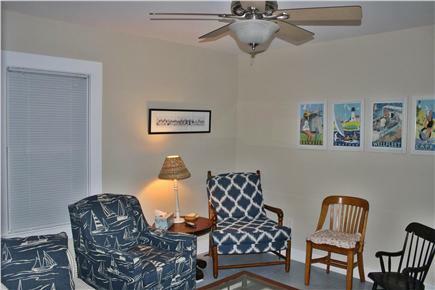 4 bedrooms plus large enclosed porch area for family gatherings. 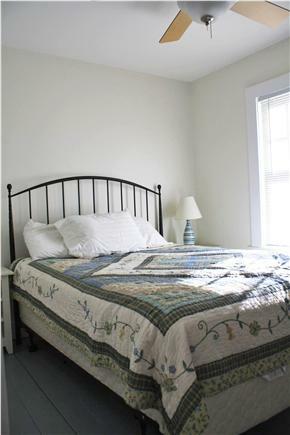 Sunny enclosed porch area has two queen size futon couches, futon chair, plus a breakfast/card table. Bike the scenic Cape Cod Rail Trail just moments away. 5 minute walk to Cobie's for ice cream, fried clams and lobster rolls. Swim or fish at nearby Nickerson State Park fresh water ponds. Convenient to shopping, restaurants, movies, horseback riding and golfing. 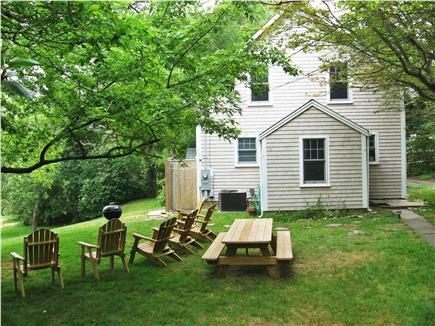 Enjoy your day relaxing on the beach or reading your book in the Adirondack chairs or grilling outdoors with your family on this spacious 3/4 acre lot with a picnic table that accommodates 8 - 10 people. My family and I have rented on Linnell Landing for years. When we found this spot, we fell in love. This has been our summer escape for the past six years. We fill it with children and grandchildren and create memories that will last forever. It is cozy and has everything we need. The “sand” room as we come in the door is a great drop off area, and the sunroom at the back of the house is our favorite spot to have breakfast or cocktails before a dinner in or out. Quick walk to one of the most perfect beaches on the Cape. We treasure our time at this amazing beach house. Hi Shari it's Jessica M. Just checking to see which weeks are still available for 2017. Last year we tried booking too late and had to stay elsewhere. Our CC vacation just wasn't the same! Also are you aware of any other houses located close to yours that other members of my family could rent so we could be close to each other? Hi Shari - We had a wonderful time in Brewster. Weather was beautiful the entire stay. Loved the new grill - made for a quick dinner after an afternoon at the beach. 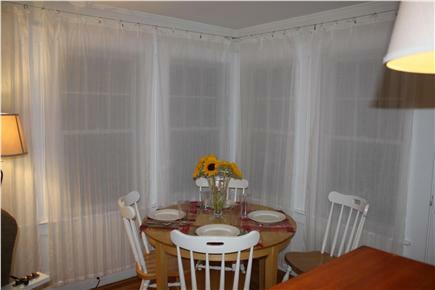 Dined on freshly grilled fish at your new picnic table several evenings. Hi Shari: We had a wonderful time in your rental house. All worked perfectly - enough bedrooms/bath/shower - we loved the outdoor shower, particularly the little ones. And we loved the porch with futons. Safe to say that the house served many age groups to perfection:) We’ve shuttled around so much since we out grew LL that your place was pure pleasure. So, I’m hoping it will be available next year during our LL week, which Bruce says starts on the 6 August, 2 days earlier than 2015. LL starts on Sunday, a better day to travel. But, in August, I swear it’s a parking lot no matter when you arrive and leave. I sure hope this works out, cuz we all had a wonderful time. Yes everything went well. The house had everything I would have expected and we all had a great time. The location was great as well. Just wanted to drop you a quick email and say “Thanks” for another wonderful week in Brewster this summer! We had an unbelievable weather week – sunny and hot every day = beach every day! It was amazing! The house looked beautiful! 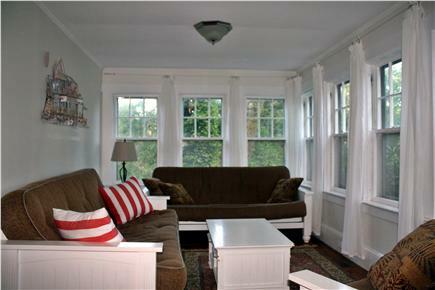 We loved the new furnishings in the living room and sheer curtains added a nice airy layer of privacy in the sun room. Overall A+ and wanted to let you know our appreciation! Only regret that we had was not being able to stay the additional week this week that opened up last minute! J Back to camp and work for all of us! Hope that your summer is going well and we look forward to repeating our week again next year at your house!! Spotless, new furniture is a nice touch Also. Shari - We had a wonderful June vacation in Brewster. What a beautiful spot. Kids all agreed this was one house we would love to come back to another summer. Its an easy house to handle people coming and going. 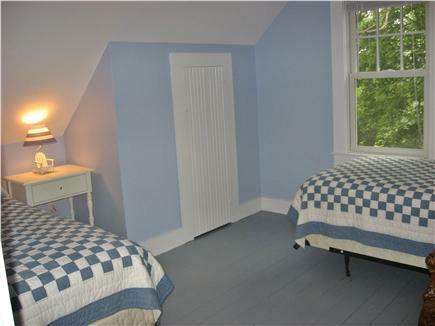 The gauzy curtains in the sun room let us make one end of it into a convenient nursery for the new grandson. Even had clothespins on the clothesline - something I usually forget to bring.